Kit contains 2 panels measuring approximately 36" x 44". 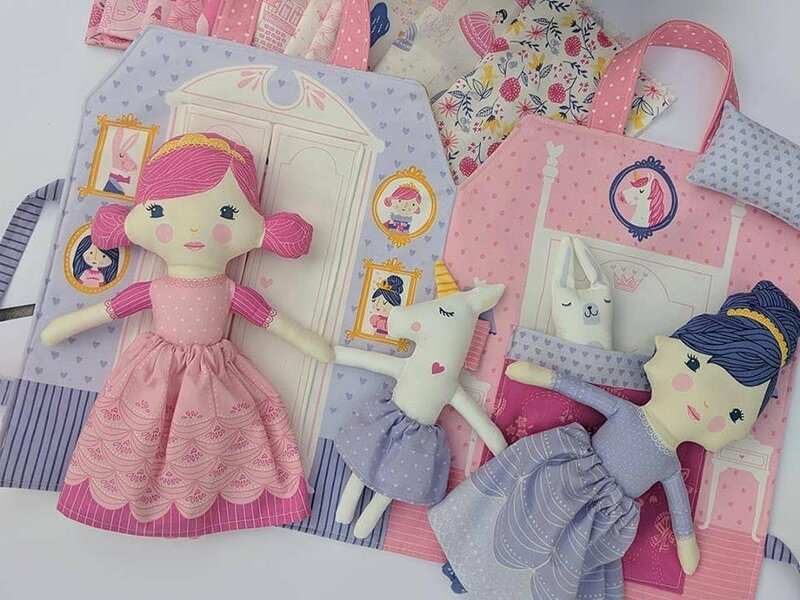 One panel makes 2 princess dolls along with their pet unicorn & rabbit. The other panel makes a play book that can be folded to store.